Ella came over today so this is actually the outfit that Im wearing today. It's weird not opting what I actually wear on the day I wear it anymore! But hey! I love this digital print skirt that I actually bought to wear this weekend out. But I couldn't resist throwing it on today with a jumper and an oversized blazer. Really casual but a little bit more peppy with the printed skirt. I'm in a reflective mood today, thinking about the past and the future. I think sometimes its good (and not to mention healthy) to just take a good step back and look at your life. Where you are, where you want to be and the steps you might need to take to get there. I think it's round about time to make a huge change in my life and move forward and work towards something I've been toying with the idea of doing for ages. Getting a full time job. While I'm earning more than enough blogging and have been doing so for the past year and a half. I feel like it's been my life for so long now it could be time for a change. Blogging is rewarding and for-filling but I've got itchy feet and want to make my mark on the world in another way. Saying that I'm not going to be giving up the blog at all, I just think it's time for me to stop freelancing in social media and possibly work full time in it. Blogging has, and always will be a huge part of my life but I just want to do so much more with my life than sit at home behind my laptop. In a world where everyone is giving up their full time jobs to be bloggers and online writers I'm taking the somewhat controversial step away from full time blogging. Weird. Watch this space. It always confuses me that the links for the clothes don't actually go to the actual items! Want that bag! I love the skirt :) So lovely! Getting a full time job isn't really weird though; I have a job in social media/marketing and I also work freelance and own my own business. I think a lot of bloggers think this is a "step away" but really, most professionals have full time work (not just freelance) and blog. I think it's a good thing for you and I hope you enjoy it. love that skirt! clicking on that link...... now! Good luck with the job hunt, currently trying to make the leap to moving to London and it's proving nearly impossible. Sigh! Wow! First, congratulations on the decision! I'm sure you make more than enough to live on, which is why I have so much respect for you getting out there and looking for a desk job. It's so easy to get caught in blogging and forget that one day, you'll look back and you won't have any other achievement to be proud of. And also, definitely ordering that skirt when I get back! J'adore! Le pull est super joli! 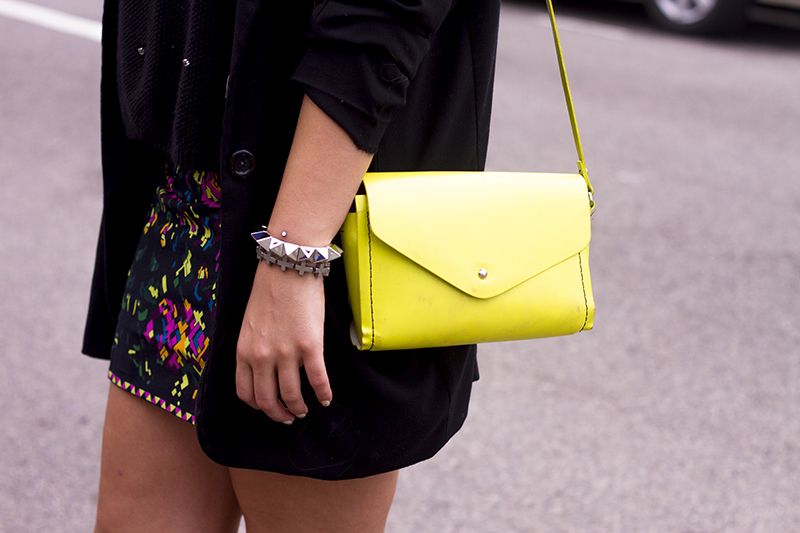 I love how your bag compliments the skirt! 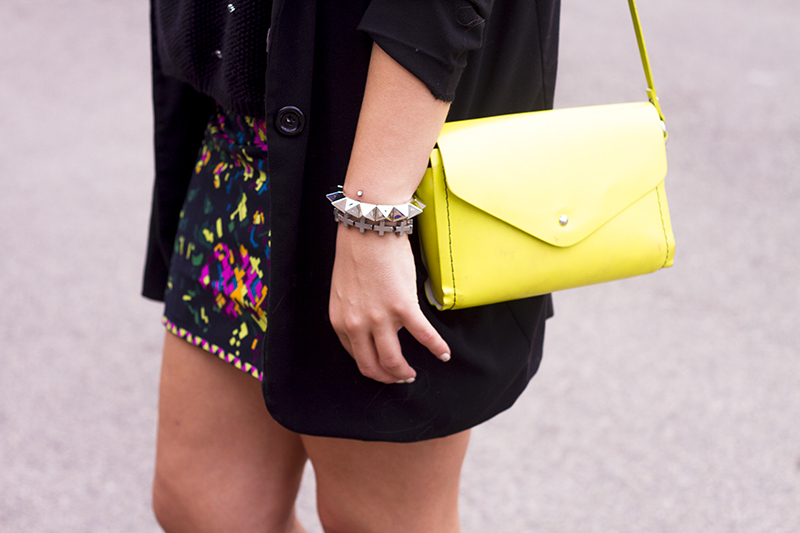 Love the skirt, it's a nice pop of colour to the outfit without being too much. Love the outfit as always lily, I think dabbling in something else would be such an exciting project to look into, these days people seem to do whatever they can to not work and simply sit at home on their laptop (in a different context to your job) so your work ethic is fantastic! I've worked part-time in the past and although I loved the liberty it gives me, I missed the regular hours and the feeling of contributing to society in a bigger way. Working part-time always made me feel like I was a part-time member of society. I'm not saying everyone who works part-time should work full-time, but it may be a better fit for me, despite the long hours and stress that accompanies most full-time jobs. love the skirt and bag combo! Oh gosh that skirt is lovely! Good luck! I feel like it's a time for change too. Perhaps there's something in the air! love the skirt, and good luck with finding a full time job. Love your outfit! 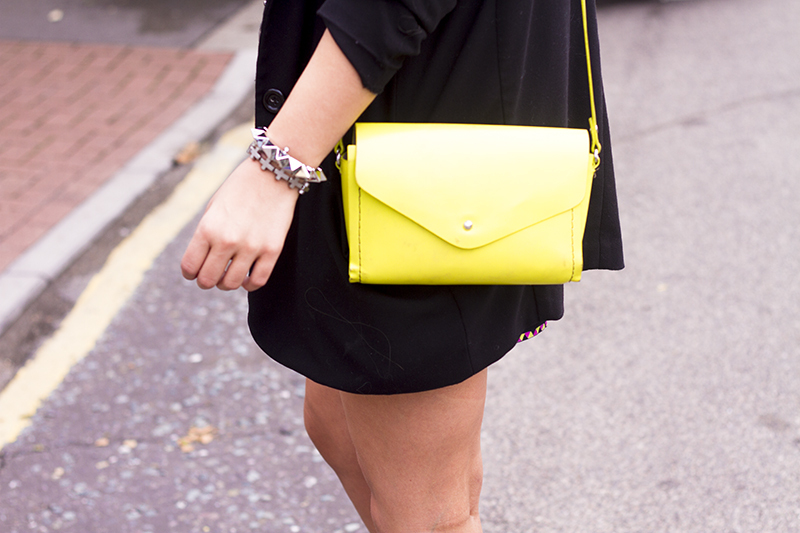 I'm really obsessed with your bright yellow bag. Ooh I love this skirt, the pixellated pattern is awesome. Good luck with whatever you decide to do m'dear, only you will know what's right for you! Good luck for your plans <3 Hope everythink works out how you plan it! Seriously lily, how is every single outfit you wear so gorgeous? I need this skirt in my life! 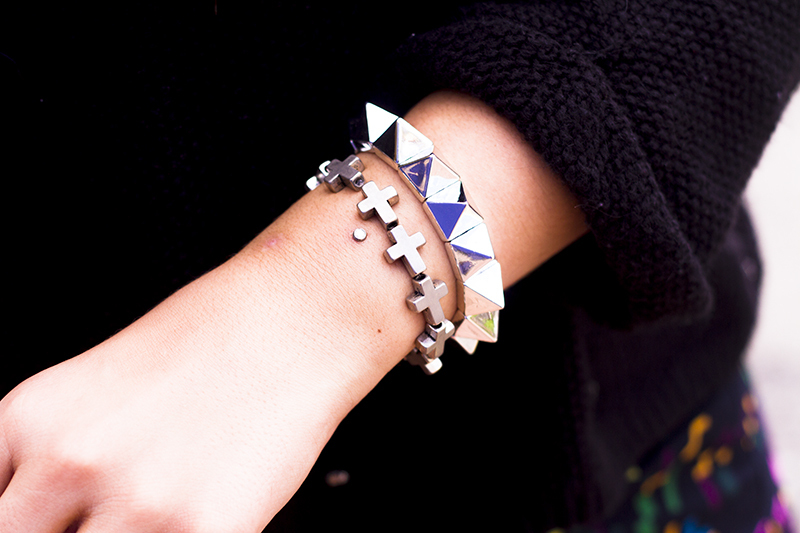 & I'm seriously jealous of your wrist piercings! Ahh I love this skirt too, you make me want everything haha! Love this skirt, it's gorgeous! Good luck on the job front! love it, but I personally would wear this in autumn/winter with thights or something.